UPDATE:”PIXIE” BACK HOME.MISSING CAT “PIXIE” ST KIERAN’S CRESCENT AREA KILKENNY CITY. UPDATE:”PIXIE” BACK HOME.MISSING CAT “PIXIE” ST KIERAN’S CRESCENT AREA KILKENNY CITY. 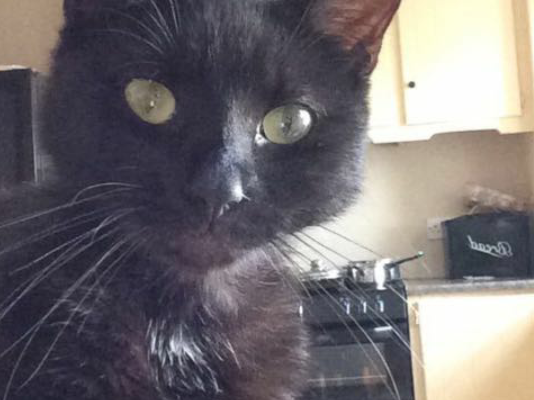 “Pixie” 2 y/o female black cat with white patch on belly, wearing black flea collar,missing since Wednesday May 30th in the St Kieran’s Crescent area in Kilkenny City. Any information please contact Kilkenny SPCA @ 056-7771635. Ref: 215102. (Please share).